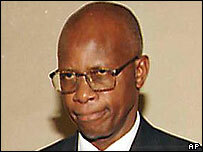 Zimbabwe's new Electoral Court has ruled that a jailed opposition MP can contest parliamentary elections. Roy Bennett was sentenced to 12 months in prison for attacking the justice minister in a debate on land last year. This is the first ruling made by the court, which was set up under new regional guidelines. The court also postponed the election in his constituency by a month to give his team time to campaign. Elsewhere, elections are due on 31 March. Mr Bennett's wife had planned to contest his Eastern Highlands seat in Chimanimani. His lawyer, Beatrice Mtetwa, told the BBC News website that the decision should be final but as it was the court's first decision, it was not clear. "There is no precedent for us to go by," she said. He attacked Justice Minister Patrick Chinamasa, who had called Mr Bennett's ancestor "thieves and murderers", last October. His appeal against the 12-month sentence was last week rejected by the High Court. 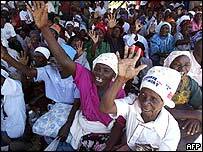 His Chimanimani farm has been occupied on several occasion by loyalists of the ruling Zanu-PF party. Opposition Movement for Democratic Change (MDC) spokesman Paul Themba Nyathi confirmed that Mr Bennett would be the party's candidate. Meanwhile, Mr Chinamasa has ruled that the Zimbabwe Congress of Trade Unions will not be allowed to send observers to the elections. The ZCTU helped set up the MDC. Zimbabwe has been accused of only inviting election observers from groups which backed controversial elections in 2000 and 2002. The European Union has been banned, along with the SADC parliamentary forum, which the United Nations news agency, Irin, says was the only African group to say the 2002 presidential poll was not free and fair.